The Pap of Glencoe (Scottish Gaelic: Sgurr na Cìche) is a mountain on the northern side of Glen Coe, in the Highlands of Scotland. It lies at the western end of the Aonach Eagach ridge, directly above the point where the River Coe enters Loch Leven. 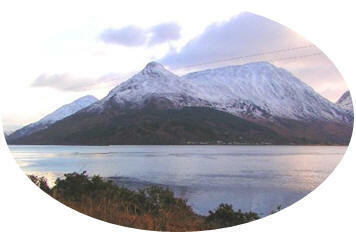 The Pap has a distinctive conical shape particularly when viewed from the west, and forms part of the "classic" view of the entrance to Glen Coe. The tune was composed by William Lawrey (1881-1916). A native of Ballachulish, Argyll, he was first taught by his father, but later by John MacColl, with whom he remained friends throughout his brief life. In 1910 he became only the second piper ever to win the Gold Medals at both Oban and Inverness in the same year, and he added Clasp to his Inverness Gold Medal the following year. 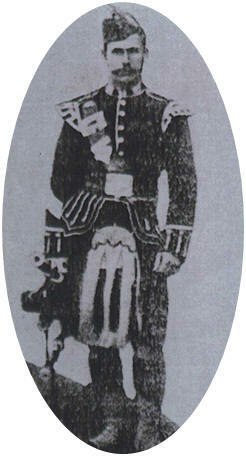 He won the marches and the strathspeys and reels at Inverness on the same day. But his prime legacy is as a composer. His output was small – around 20 tunes – but powerful. His distinctive gift for melody and structure gave us some of the best tunes in the art form: the marches John MacDonald of Glencoe, The Pap of Glencoe, The Braes of Brecklet and Mrs. H. L. MacDonald of Dunach, the strathspey Inveraray Castle, the 4/4 march The 8th Argylls and the 9/8 retreat march The Battle of the Somme, to name a few. These tunes are stunning achievements for a man who, it could be argued, was still short of his prime. While the common spelling of his name is “Lawrie,” older sources go with “Laurie,” as evidenced by the obituary reprinted below from The Oban Times, December 16, 1916. The piece suitably captures the spirit of one of the most talented pipers and composers of his day.